The wait is finally over and TSTV has commenced sales of its advertised "Sassy decoder". It's April fools Day but according to TSTV this is not a day to fool Nigerian. I personally contacted 2 TSTV distributors who confirmed that they have the TSTV Sassy Decoder and Satellite dish ready for sale starting from tomorrow 2nd April 2018. 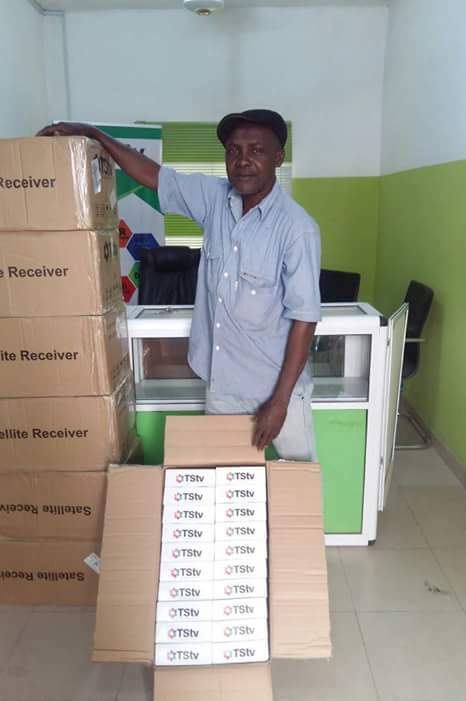 TSTV Sassy Decoder is the first brand from TSTV and they have promised the lunch of another brand of decoder called the Dexterity decoder which will have the full internet function and also other exciting functions. TSTV Sassy Decoder costs just N3,500 (decoder plus satellite dish plus full one month subscription). Enjoy your TSTV, more details about the new Sassy decoder will be made ASAP.